Personalised Chair - Girl is so adorable. 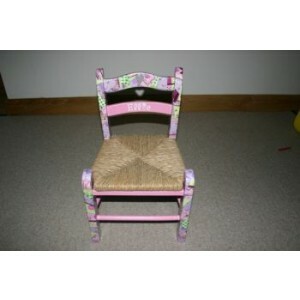 Each chair is handcrafted with lovely patterened designs as in the photo, painted then personalised with your child's name. 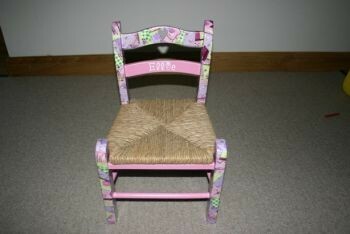 We can also paint the child's date of birth, christening or naming date on the back of the chair.